Protect your legs: high-tech protective Schoeller‐dynatecTM fabric acts as a shield against ski edge injury and is resistant to tears and abrasions, keeping legs safe. Legs stay cozy thanks to Fast Thermo Core technology, which regulates body temperatures, and the 100% waterproof and windproof exterior fabric. 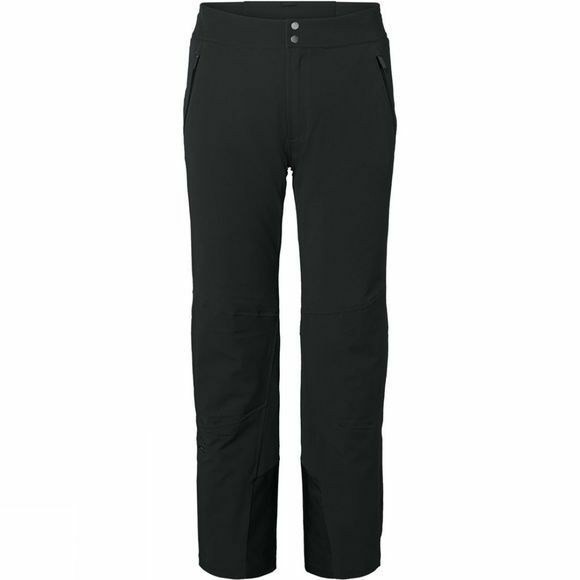 These pants are also super stretchy, with 4-way-stretch lining and microfleece knee inserts for comfort. And they give you the freedom to make all those different moves on black runs.